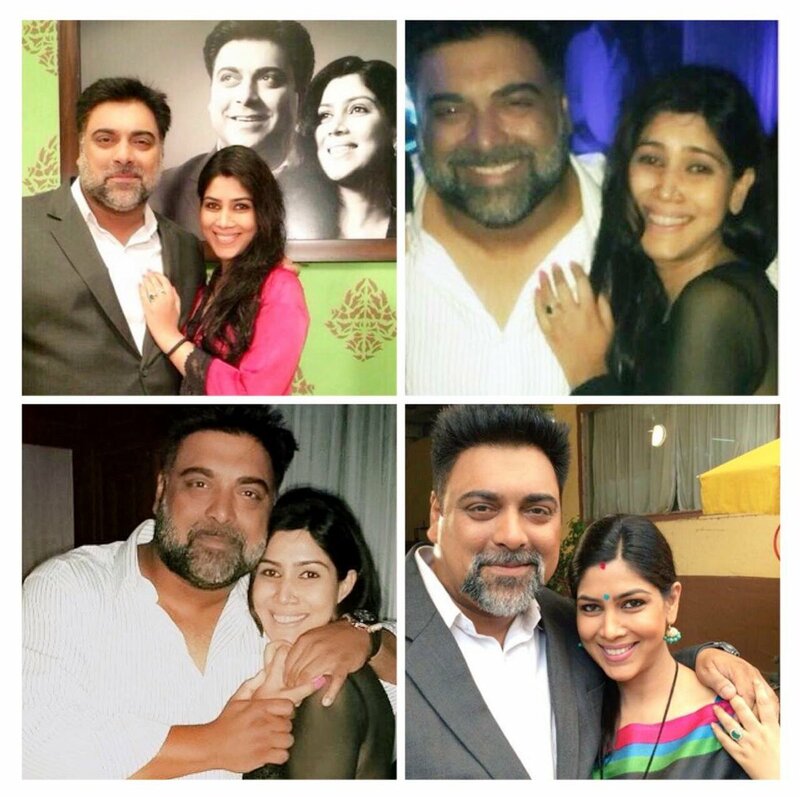 The popular television actors Ram Kapoor and Sakshi Tanwar are making a comeback together and mesmerize their fans with their amazing chemistry. Instead of appearing on television, Ekta Kapoor has decided to arrive with her new digital series “Karrle Tu Bhi Mohabbat” which will have only 15 episodes starting from 16th April, Sunday. 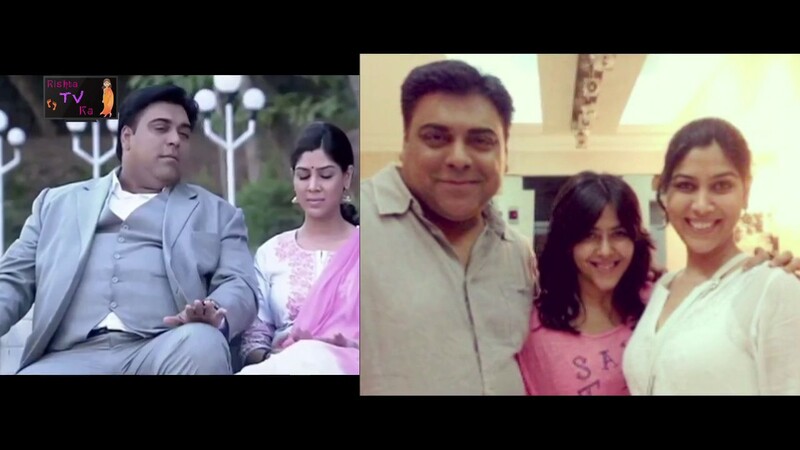 Known as the best and the all-time favorite television couple, Ram Kapoor and Sakshi Tanwar are set to enter into the digital zone with their remarkable Karrle Tu Bhi Mohabbat, conveying back fond memories of Bade Achhe Lagte Hain [2011-2014]. This web series is produced by ALTBalaji and sponsored by Ekta Kapoor. The first option, Viewers can watch the first 5 episodes of Karrle Tu Bhi Mohabbat for free on AltBalaji app. But the rest of 10 episodes can be viewed on pay. 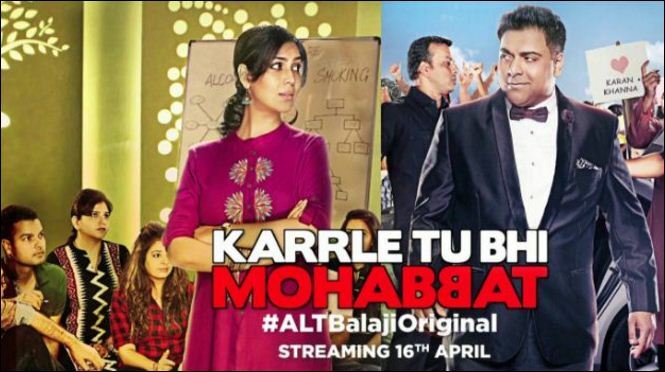 AltBalaji paid subscription include plans of 3-months (Rs.100), 6-months (Rs.180), and 12-months (Rs.300). Viewers can pick any one plan of their choice, make an online payment and watch the paid episodes for free again. One can also see the first 3 episodes of KTBH on YouTube. Another option, if the Vodafone postpaid customers have upgraded their plan with Red Traveler of (Rs 499) monthly, they can download Play VODAFONE app from Google Play store and watch all the 15 episodes of Karrle Tu He Mohabbat for FREE. So grab this plan now and enjoying its episodes. The official poster, as well as trailer of Karrle Tu Bhi Mohabbat, has been released by ALTBalajiOriginal, and viewers love it. They are eagerly waiting for the lovable Jodi to hit the web screen together with their fun-filled, sizzling chemistry. 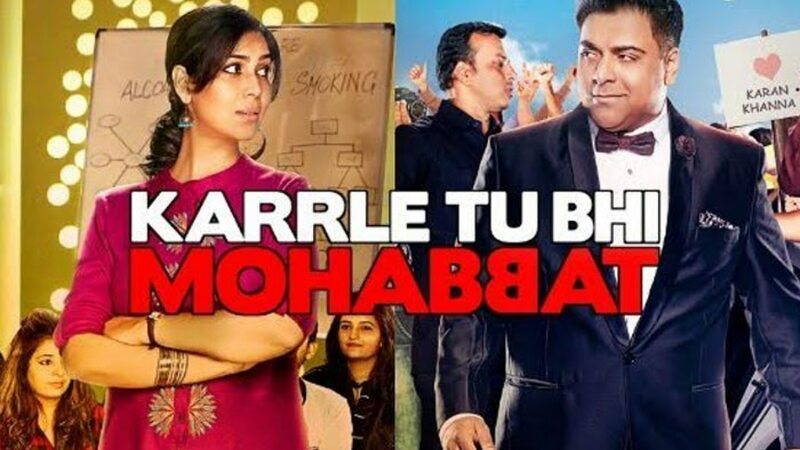 The makers of this show tweeted, “The official trailer of Karrle Tu Bhi Mohabbat released, #ALTBalajiOriginal starring your favorite #SakshiTanwar and #RamKapoor! Are you excited?” It is an exciting moment for both Ram and Sakshi to share the screen space again and showcasing their magic on the fans and audience. On the release of the new web series’ glimpse, it is a key throwback for everyone who loved this on-screen couple on Bade Achhe Lagte Hain. The 15-episode digital series is a mature love story that explores how two people of opposite nature gradually fall in love, though not liking each other at first. 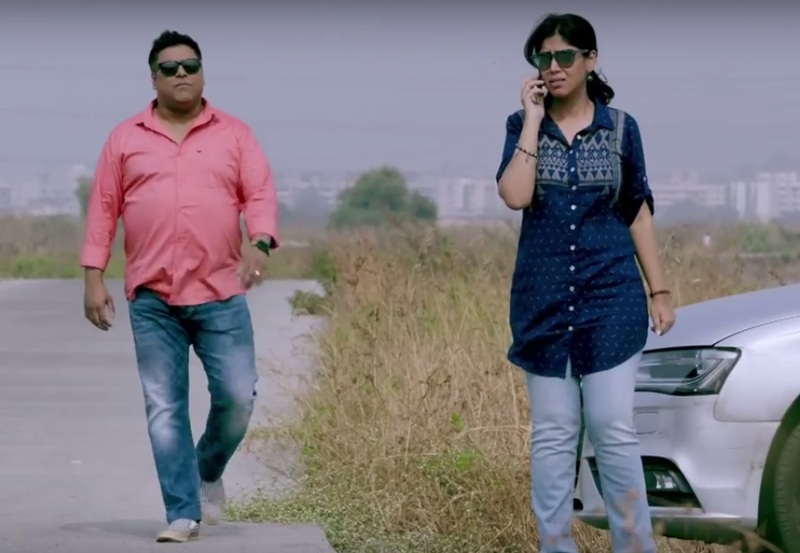 The storyline of new web series Karrle Tu Bhi Mohabbat revolves around two main characters played by Ram Kapoor and Sakshi Tanwar. Ram Kapoor is playing the role of an actor Karan Khanna who is also an alcoholic star. He is having a hugely popular stardom and lots of fan following, yet he has the habit of drinking. Sakshi Tanwar, on the other hand, is a doctor Ms. Tripura Sundari Nagarajan of a Health Care, Addiction Center where she is assigned by her boss to ward off Karan’s bad habit of drinking. He enrolls himself in a de-addiction program under Tripura or Tipsy (nickname) who becomes his counselor. In the beginning, they both literally hate each other and their habits. Karan is in no mood to get counseled under a doctor and makes a fuss. But Tipsy tries to convince him in every way to ward off his habit that may hamper his health too. With the passing time, they both grow a fondness towards each other with Karan making the first move. So you have to watch on Balaji’s new web channel how they both start loving each other. Thus, the series will bring forward a bright freshness with Sakshi-Ram’s ideal on-screen compatibility. 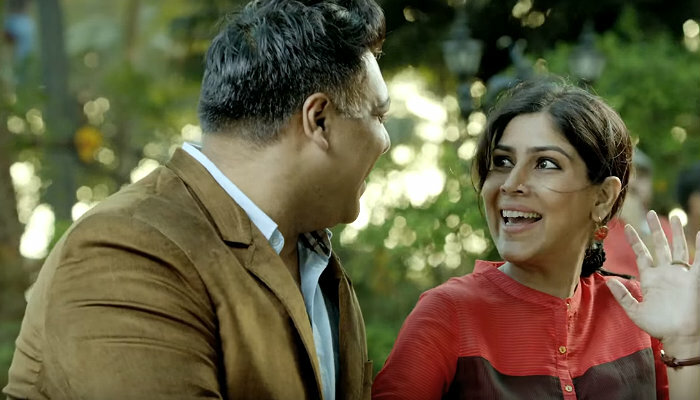 The trailer seems super-exciting where Ram Kapoor as a superstar and Sakshi Tanwar as a doctor exhibit amazing chemistry. Karan Khanna aka Ram Kapoor will be seen trying to get rid of alcohol under Ms. Nagarajan’s proper guidance, and progressively both become essential parts of each other’s lives. A carefree Karan Khanna makes an attempt to connect with Sakshi by breaking the ice but is unable to make it. In fact, Ms. Nagarajan scolds him in trying to enter her personal space. She tells, “Aap na yahaan pe Ram hai, na Romeo, na koi Raghav, na Devdas,” and Karan quickly responds, “Ab tak aapne mere sare filmein dekhe hain, fan ho?” Though Sakshi tries to control her anger, still Ram loves teasing her in a fun way. Tanvi Vyas plays the role of Sakshi’s sister in Karrle Tu Bhi Mohabbat as she is very thrilled about her role in this web series. The show is likely to showcase Shweta Kawatra who will play the ex-wife’s role of Karan Khanna. Tu Khaab Saja, Tu Ji Le Jara. Ram Kapoor: Ram Kapoor will be seen in the lead role as actor Karan Khanna and he is appearing in a web series for the first time. He was last seen in latest movies like Baar Baar Dekho , Kuch Kuch Locha Hai , Humshakals , Student of the Year  and many other known movies, and in television shows like Dil Ki Baatein Dil Hi Jaane , Sanskaar- Dharohar Apnon Ki , Bade Acche Lagte Hain [2011-2014], etc. He is excited to work in Karrle Tu Bhi Mohabbat with Sakshi Tanwar. I mean , at what time the streaming will be started? Hello, You can install the app ALTBalaji on your smartphone from Google Playstore & watch all the 10 episodes of Karlee Tu Bhi Mohabbat! You can watch these episodes anytime you wish to. On Youtube, only 3 episodes are shown. Hello, You can install the app ALTBalaji from Google Playstore & watch all the 10 episodes of Karlee Tu Bhi Mohabbat! The first 5 episodes of every show are free, & the rest are paid. If you are going for 3/6/12 months paid plan, then only you can watch the other episodes. If you are keen to watch the rest episodes, then you can surely take up 3-month plan which is less too. There are total 10 episodes of Karrle Tu Bhi Mohabbat. You can watch these episodes on ALTBalaji app. SO download ALTBalaji now on your smartphone to watch, or you can watch these episodes on ALTBalaji from your desktop. This is the first season of of Karrle Tu Bhi Mohabbat. If you are going for 3/6/12 months paid-plan, then only you can watch the other episodes. Even I too couldn’t watch the other episodes because they were paid. Thanks for visiting my site & keep visiting for more updates. Hi What about the remaining 4 episodes? Totally 14 episodes right? There are approx. 10 episodes. You can watch these episodes of Karrle Tu Bhi Mohabbat on ALTBalaji app. SO download ALTBalaji now on your smartphone to watch for free, or you can watch these episodes on ALTBalaji from your desktop. Check out Alt Balaji site: https://altbalaji.com/. Thanks for visiting my site. Keep visiting for more updates. First 5 episodes are free to watch, rest are paid. You can subscribe on AltBalaji, take a plan of 3 months/6 months/12 months, pay online & watch the rest 10 episodes. Hello, I too watched the Alt Balaji site: https://altbalaji.com/. There are Total 15 episodes. When is the next season coming?? Hi, 15 episodes are showcased of KTHM on AltBalaji. But if the makers are coming up with its next season, I will surely update on my website w3buzz.in. I have watched all the 14 episodes, but it seems story is not complete. When will 2nd season released? I couldn’t see the rest of 10 episodes of this show as they are paid. Will there be session 2. Serial is finished? or what ? When other episodes are telecasting ? I had already paid for 3 months, then show us all episodes. I just checked AltBalaji website. They have updated only 15 episodes of Karrle Tu Bhi Mohabbat for now. If theya re coming with second season, will update on my website. But you can utilize your 3-month pay by watching other Hindi shows, as first 5 episodes are free & rest are premium. But you can watch them for free. There are also International shows for free. You can even enjoy comedy shows, kids’ cartoon shows & Bollywood movies. which date season 2 start…..
I’ll update my viewers if they’re coming up with a new season. how do i watch ep 5 onwards for free…?? Hello, you can download Vodafone Play from Google PlayStore to watch all the episodes you want to watch. Also, you can watch them on ALtBalaji app.